3 x 15'; 2 x 30' lengths of high purity copper 16 gauge wire with gold plated wire pin terminations. 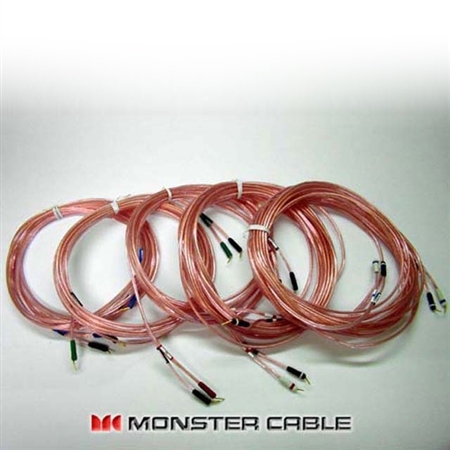 Proven Monster Cable XP technology; Magnetic Flux Tube® and special cable windings for natural music reproduction. Impressive clarity, bass response, and dynamic range in a compact design. Special compact design makes installation easy. Extended wire lengths for greatest system set-up flexibility.